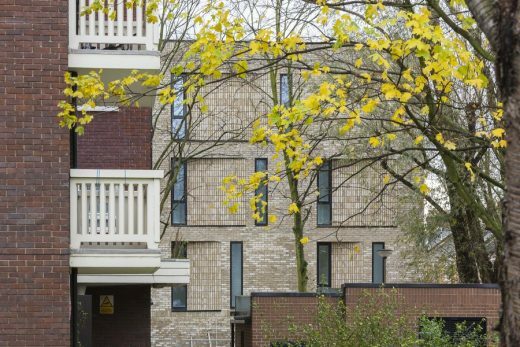 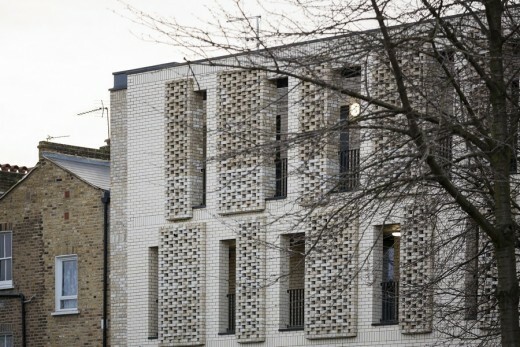 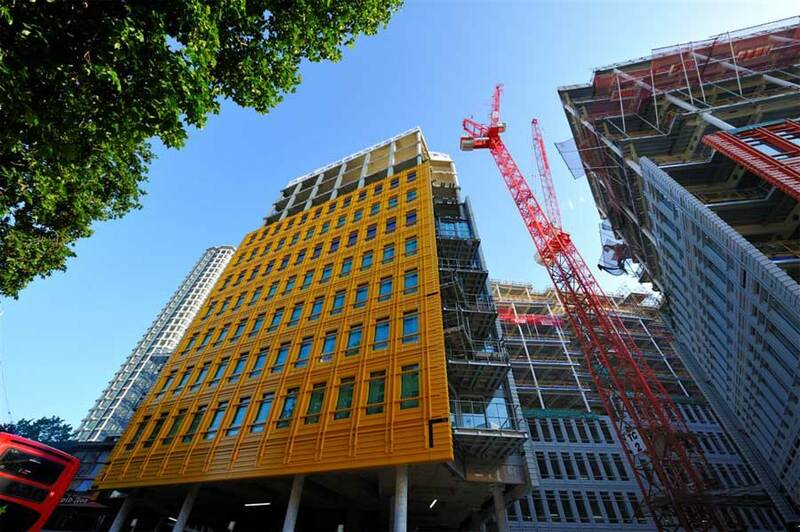 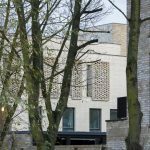 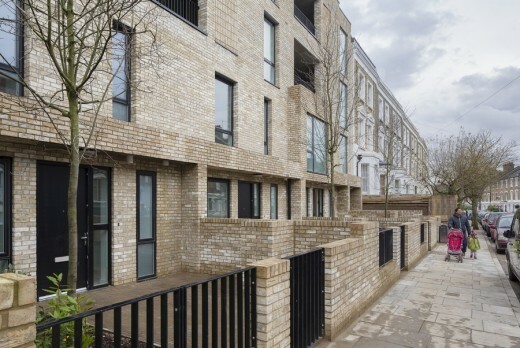 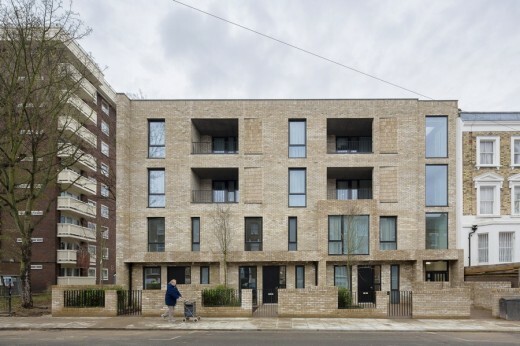 Levitt Bernstein have completed a high density, sustainable, affordable housing project in Islington, based around the concept of ‘productive landscapes.’ Vaudeville Court began as the winning entry to an Islington Borough Council housing competition in 2009. 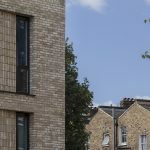 The three storey building provides thirteen dwellings – a mix of two, three and four bedroom family maisonettes and apartments on a previously under-used site, formerly home to the Empire Theatre in Finsbury Park. 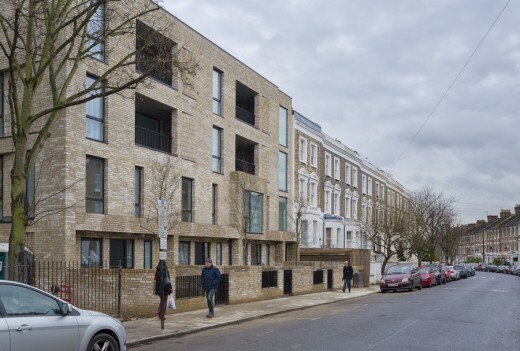 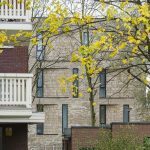 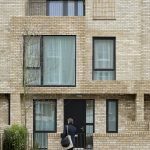 “Islington Borough Council’s brief for the competition was to develop a flexible housing typology which would become as emblematic of Islington as its Georgian, Victorian and exemplary Modernist housing. We took the opportunity to create a socially responsible scheme with its own distinct identity through the concept of ‘homesown’ – the provision of a community amenity space with allotment plots and linear strips of garden for new residents and those of the existing tower opposite” explains Jo McCafferty, Director at Levitt Bernstein. 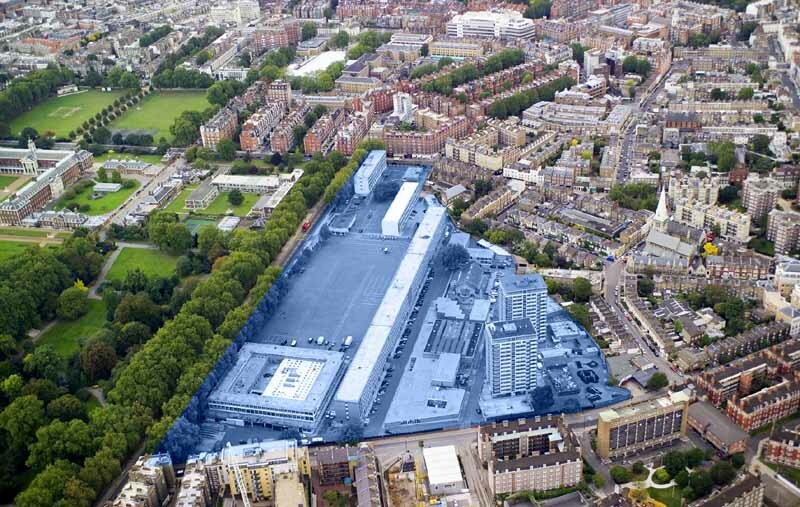 The homesown philosophy builds on Islington’s history as an area famous for its agriculture, dairy herds and produce as well as the site’s location along an historic trading route. 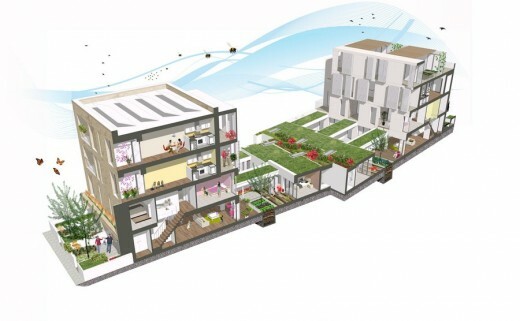 Detailed Design Plans Ground floor duplexes all share the same organisational layout. 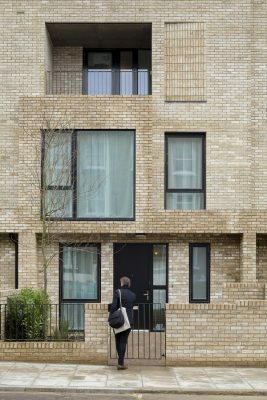 Kitchens are situated to overlook the street, with the dining in the middle section. 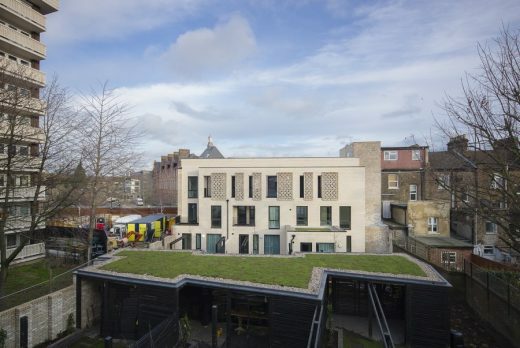 The living area is to the rear, offering views into the facing courtyard and the bedrooms are located on the first floor, with their own private balcony. 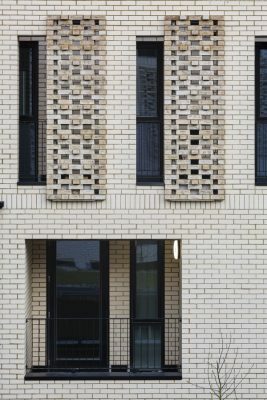 The living areas open up fully to the courtyard space, clad in white brick to maximise reflected light and allowing outdoor and indoor spaces to become one. 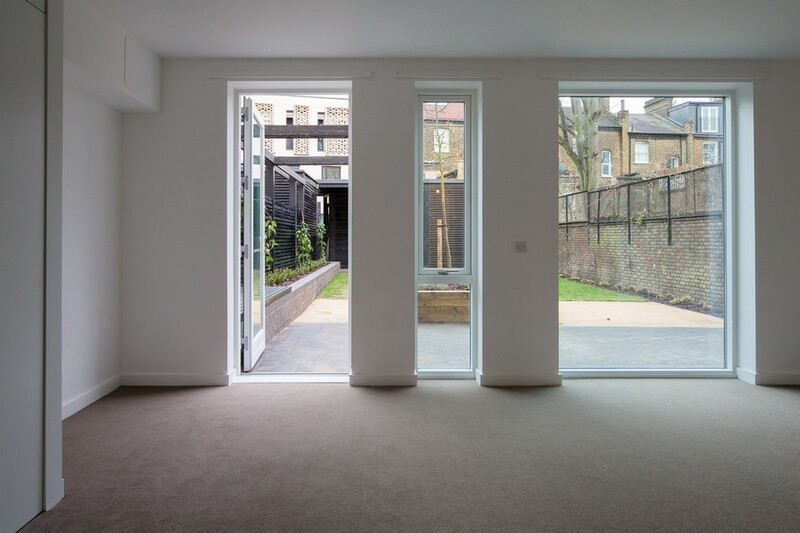 Storage and service spaces are invisibly integrated in thick walls keeping the living spaces as open, transparent and flexible as possible. 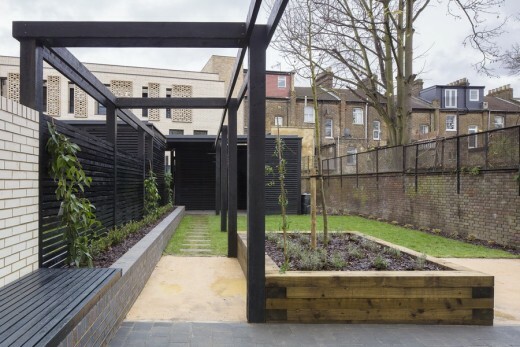 This storage continues into the private courtyard beyond with integrated external seating, and a linear planter and terminates in a garden room enclosed by a trellis and sliding, dark stained timber screens. This structure provides valuable storage for each household and privacy between each courtyard garden. 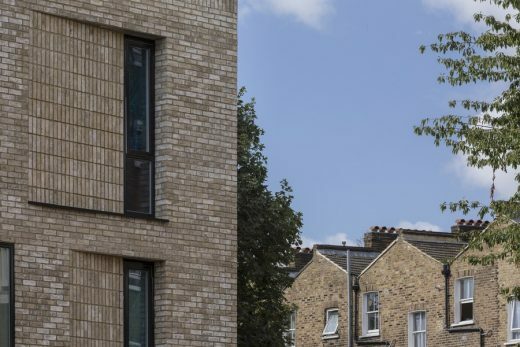 “Vaudeville Court has been a truly inventive project for Islington – from the launch of the original competition through to the delivery of the exceptional new homes. This exemplary development of a tight, urban site shows what is possible in housing delivery with a strong brief, design flair and a collaborative approach with local residents and all council departments. 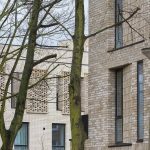 The response from the local community has been extremely positive, particularly from those local residents set to move in to the new homes. Latticed brick panels are staggered across a textured brickwork exterior at upper levels to screen the private gardens, at ground floor, from the communal walkways above and also to create an opportunity for planting and hanging herbs and shrubs. 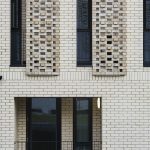 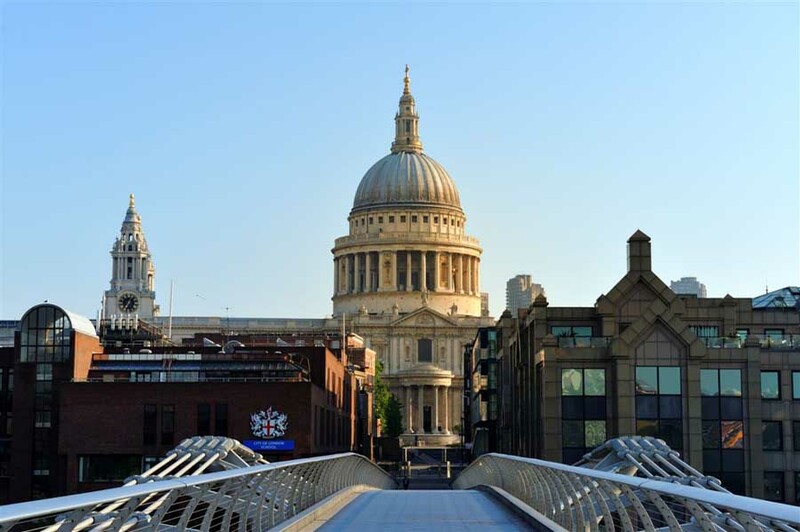 All dwellings are designed to meet the Lifetime Homes Standard and a large ground level fully accessible wheelchair user apartment has been carefully designed with LBI Accessibility officers as an exemplar WC user dwelling. 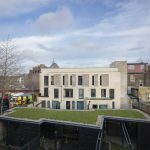 The treatment of each surface forms an important part of the overall landscape and environmental strategy, ranging from high quality amenity spaces, areas for renewable energy (PVs), reducing storm water runoff through green roofs and water butts, improving biological habitat and produce gardens. 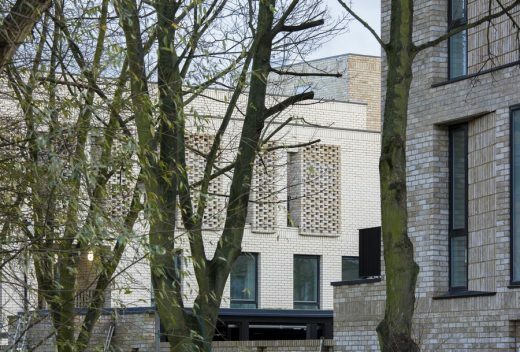 The key design principles have been to provide for flexibility of use, low maintenance, generous storage and maximising privacy. 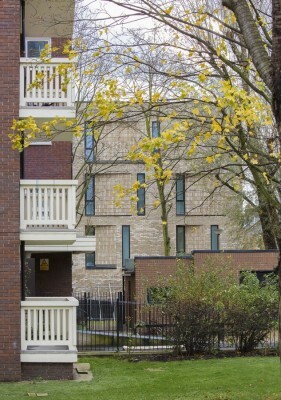 The front gardens are designed to be a continuation of the existing front gardens to the terraced houses to the south. 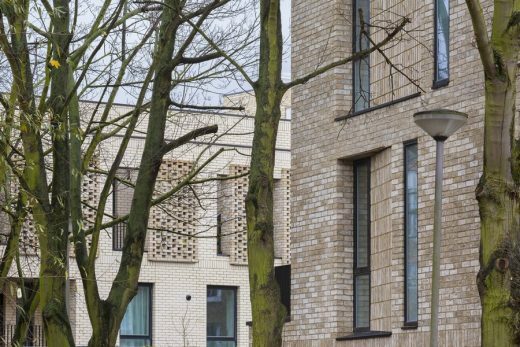 A specimen fruit tree in each garden provides a strong visual element along the street with underplanting of herbs and other edible species creating a true urban kitchen garden. The scheme has been designed and built to exceed CSH Level 4 so it can be easily upgraded to Code Level 5. 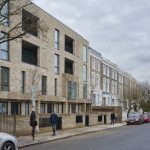 All homes are designed to meet London Housing Design Guide standards and Islington’s own detailed accessibility requirements. The intention is for this typology to be applicable to other neglected ‘garage’ sites throughout the borough.